What is Average Revenue Per User (ARPU)? 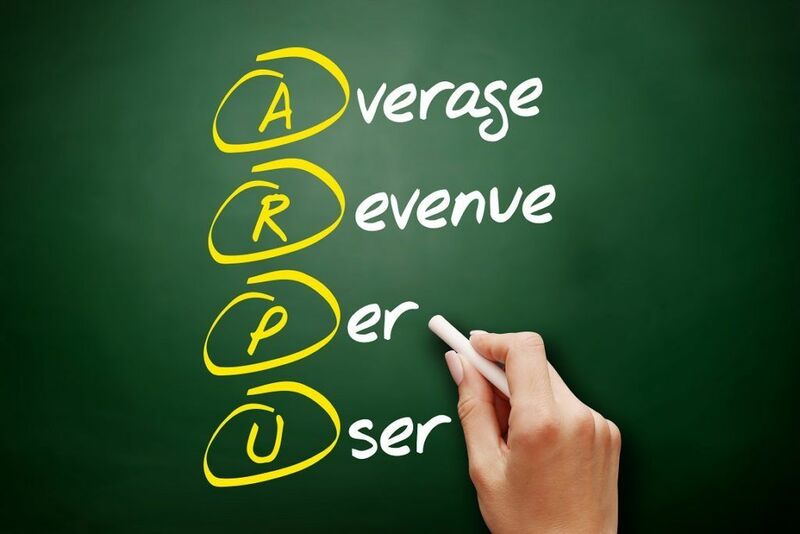 Average revenue per user (ARPU), also known as average revenue per unit, is a non-GAAP metric commonly used by digital media companiesFinancial Modeling For Startups, social media companies, and telecommunications companies to assess their revenue-generating capabilities at the per-customer level. Total revenue is the total revenue generated over the desired measurement period. Average subscribers is the average number of subscribers over the desired measurement period. On a trended basis from 2016 to 2018, John is able to see that ABC Company is driving revenue creation – the company is acquiring more users while also generating higher revenue per user year-over-year. John concludes that it may be an attractive company and decides to conduct further analysis. Average revenue per user is commonly compared upon between similar companies operating in the same industry to assess how well the company is doing in comparison to its peers. For example, if one telecommunications company is generating an ARPU of $3 compared to a similar telecommunications company generating an ARPU of $2, there is a greater chance that the company generating an ARPU of $3 is more profitable than the company generating the lower ARPU. Average revenue per user is useful in financial modeling as it can make revenue assumptions easier to determine. For example, an analyst building a financial model for Facebook Inc. may choose first to determine user growth and then multiply it by a forward ARPU to forecast revenue. Users can be segmented based on geographical region or on a different tier of customersDemographicsDemographics refer to the socio-economic characteristics of a population that businesses use to identify the product preferences and purchasing behaviors of. In doing so, the metric offers more insight into which customer group is generating more revenue and how to drive further value in low ARPU groups. For example, Facebook reports ARPU user in four geographical segments: (1) US & Canada, (2) Europe, (3) Asia-Pacific, and (4) Rest of the World. Average revenue per user can be used on a trended basis to examine profitability and revenue generation capability. A rising ARPU on a trended basis indicates greater profitability and revenue generation capability. Recall from the example above – ABC’s revenue growth is reflected in its increasing ARPU. Consider Facebook, whose 2017 Q4 ARPU was $6.18 compared to its 2014 Q4 ARPU of $2.81 – the company’s ARPU more than doubled over the three-year period. It’s no coincidence that shares of Facebook saw an impressive run-up over the same timeframe. Average revenue per user is a non-GAAP metric that is most commonly reported by digital media companies, social media companies, and telecommunications companies to determine revenue generated per user. Calculated as total revenue divided by average subscribers, ARPU offers significant insights into profitability and revenue-generation capability. In addition, ARPU is commonly used for segmentation analysis, as a comparison tool among peers, and in financial modeling. Return on Ad Spend (ROAS)ROAS (Return on Ad Spend)ROAS (Return on Ad Spend) is an important eCommerce metric. ROAS measures revenue generated per dollar of marketing spent. It is a similar and alternative profitability metric to ROI, or "Return on Investment". ROAS is commonly used in eCommerce businesses to evaluate the effectiveness of a marketing campaign.